CONNECTICUT BASED ROCK TRIO COOKIN HOOKS MAKES GOOD ON THEIR PROMISE TO BRING YOU HOT AND TASTY MUSIC FOR YOUR EDIFICATION. 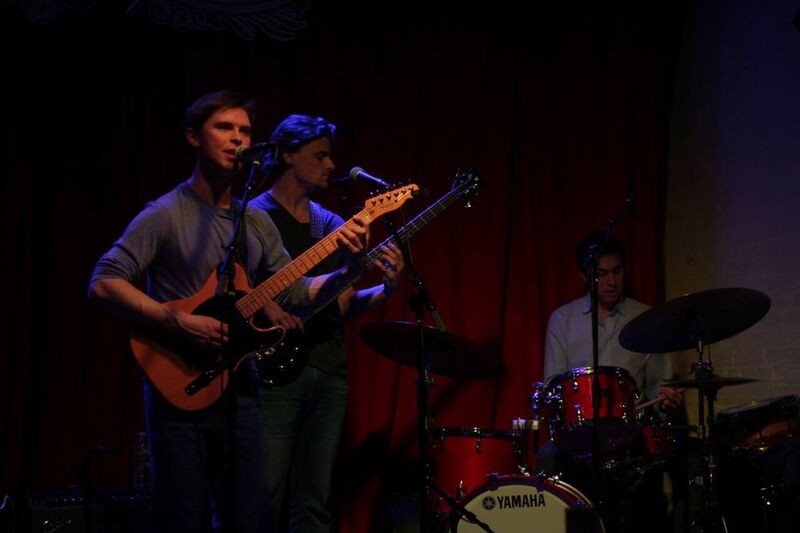 FORMED BY FORMER MEMBERS OF FINK BILLY RUEGGER AND MATT FASANO AND ALTERNATE ROUTES DRUMMER KURT LEON, THIS GROUP DRAWS UPON THE SOUNDS OF THE BEATLES, RADIOHEAD, AND STEVIE WONDER AS WELL AS CONTEMPORARY ROCK, POP AND R&B. THESE GUYS EQUALLY CHARM LISTENERS WITH GREAT SONGS AS THEY DO MELT FACES WITH EXCITING IMPROVISATION. IF YOU HAVEN'T HEARD OF THEM ALREADY, EXPECT TO BE HEARING A LOT MORE OF THEM SOON.